Security is one of the primary concerns of any website owner. On a daily basis, your website must be facing numerous attacks from hackers, malware, etc. Though WordPress comes with a relentless focus on security, it is always better to keep all your precautions in place. After all, with one breach of defense, your website and all the data on it can be compromised. This is unthinkable if you are running an online store on your site, and when you have all your customers’ data in it. So, here is a look at some of the best WordPress security solutions that will help you protect your site and its data. Having a backup of your database and WordPress files is one of the primary measures that you need to take as a website owner. You should verify your backups periodically to ensure that it will help to restore your site in case it is compromised. Using a solution for automatic backups is something you can manage without any manual efforts. Let’s take a look at some of the best WordPress backup solutions that you can find at the moment. 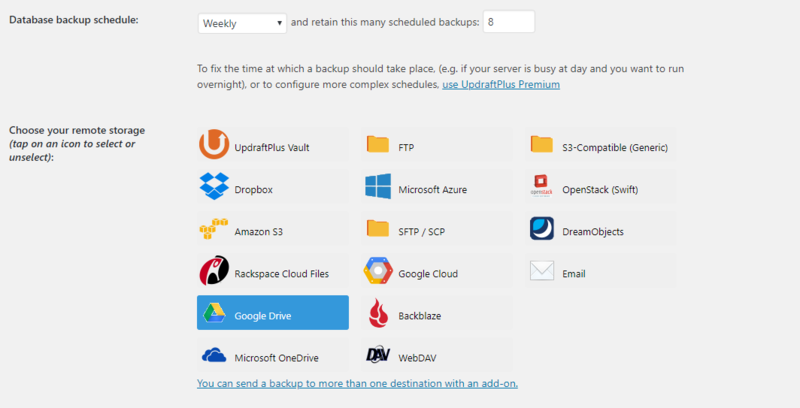 One of the really popular backup solutions that you can get your hands on at the moment is Updraftplus. This is a free plugin, which you can download from the WordPress plugin repository. With over one million active installs, this one has become quite popular among WordPress site owners. The signature trait of this plugin is its simplicity and ease of use. With the help of Updraftplus, you can easily backup your database and files to one of your preferred cloud storage services, and restore with a single click. With Updraftplus, you can simply specify a backup schedule and a storage option, and rest assured. It also provides a single click Restore option. The cloud storage options include Amazon S3, Dropbox, Google Drive, FTP and email. In fact, it offers you more options to backup to cloud than any of the similar plugins. Automatic backup schedules mean you don’t really have to worry about backups once you configure them. And, as it uses only minimal server resources, Updraftplus won’t slow your site down. One of the major differences that you will notice when you look at Updraftplus premium version is the number of cloud storage options that are available. In addition to all the options in the free version, the premium version includes options like Google Cloud, Microsoft Azure, Microsoft OneDrive, SFTP/SCP, encrypted FTP, WebDAV, etc. Moreover, it has automatic backup options whenever you update your WordPress, themes or plugins. It also offers database encryption and allows to send backups to multiple remote locations. The advanced reporting features of the premium version will help you gain more insights on your site security aspects. Overall Updraftplus premium will ensure your site is always ready to face any undesirable attacks. The price of the premium version starts from $70. 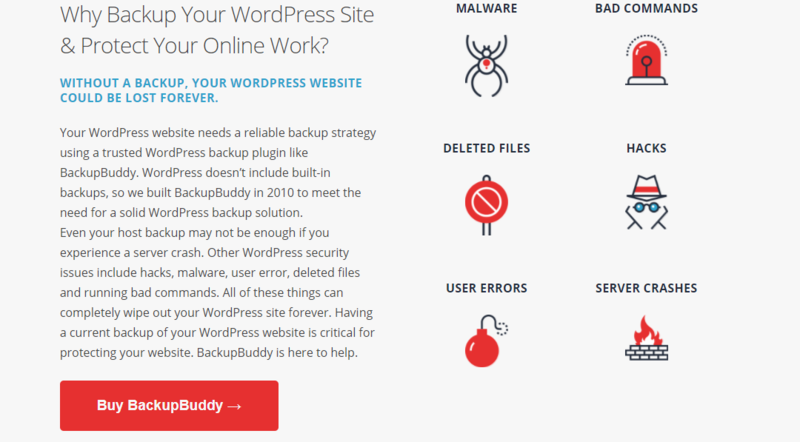 BackupBuddy is another comprehensive option to backup, restore and migrate your WordPress site. A backup with BackupBuddy includes all WordPress files, everything you upload on the Media Library, your plugins, themes, etc. You can easily configure a backup schedule that is convenient for you. And, whenever needed, you can pretty easily restore your site from one of the saved backups. Let’s take a quick look at some of the distinct features of BackupBuddy. Customize the contents of your backup – You can specify what all needs to be included in a backup. You can choose to separately backup files, or database, or everything together. Zip file download – You can download the entire backup of your site on to a zip file. Cloud storage options – You can choose to store your backups in a cloud storage option like Amazon S3, Google Drive or Dropbox. Prompt email notifications – Every time a backup is completed, you will get a notification to be sure of the backup options on your site. Pricing plan for BackupBuddy starts at $80. VaultPress is another reliable backup solution provided by Automattic themselves. 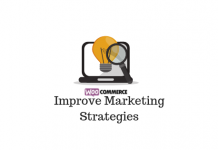 It offers awesome plans suitable for websites of all types and sizes. It automatically creates backups of your site and stores them in a digital vault. You can also easily restore your site using the saved backups in case something happens to your site. In addition, VaultPress offers options to migrate your site to another host, and a solid defense against spam comments. It also does file scanning and repair to identify and remove any threats on your website. The “Personal” with unlimited storage space starts at a price of $39 per year. Strong passwords are an absolute must when you talk about the security of your WordPress site. However, when you choose a complex password, remembering it will be kind of a task. Moreover, when you have different passwords for different applications, knowing all of them is not going to be easy. The best way to manage this scenario is to invest in a password manager. Here is an example. You can use 1Password to save all your passwords safely. And it also helps to retrieve them at will when you want to sign in to a specific application. Basically, while using 1Password, you need to remember one password, which will be the master password that will secure all your other passwords. In addition to passwords, you can also save other data like bank account details and any other important personal data. 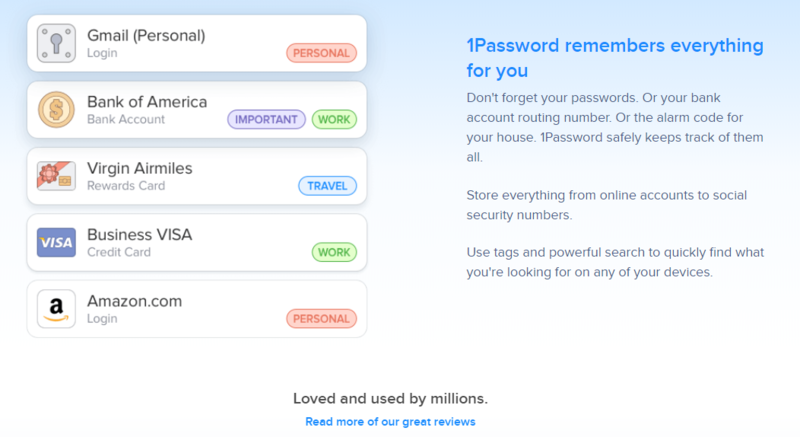 1Password is a great option to manage complicated passwords and the hassles of retrieving them. It uses Advanced Encryption Standard (AES-56) so that you can be assured that your data is well protected. If required, you can integrate it to your web browser, so that you can save time from entering login details on different sites. Furthermore, you can choose the ‘Travel Mode’, while travelling, and it will remove all the sensitive data from all your devices as an extra protection. You can also use 1Password on your mobile device, where you can unlock the app with your fingerprint or a secure PIN code. For individual use, you can get a plan by paying $2.99 per month. Securing your WordPress account with a strong password is a mandatory requirement. However, you can add an additional layer of security by opting for two-factor authentication, which requires another verification process specified by you. Let’s see an example for a WordPress plugin that will help you with this. You can set up a secure, additional layer of authentication with the help of this plugin. This will potentially save your website from hacking and unauthorized login attempts, which is somewhat of a common occurrence. You can add the additional authentication process along with your usual username and password combination, or choose to use the two factor method with just the username. You can also choose to enable the two factor authentication process only for specific user roles. miniOrange two factor authentication allows you to add an additional security layer to your WordPress account. This will help you protect your site from a lot of unauthorized login attempts. WordPress security plugins help you save your website from several potential threats in different ways. Blocking threats – Some of them protects your site by not letting hackers or malware breach the defenses and gain unauthorized access to your site. Scanning for issues – There are also solutions that ensure your site’s safety by constant scanning, and identifying potential threats that may cause harm. These solutions will also inform you about any potential threats promptly. Activity monitoring – Several WordPress security solutions are available that do a regular monitoring of your website activities. Any changes made to your site, such as plugin updates or theme changes will be logged in to identify potential sources of trouble. 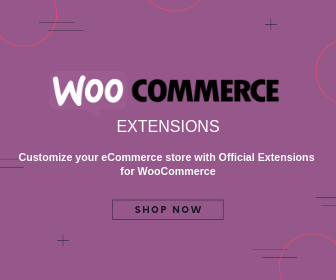 General solutions – There are certain WordPress security solutions that will encourage you to configure your WordPress site in the safest possible manner. This is also a useful scenario considering certain configurations can make your site particularly vulnerable. Wordfence is one of the most popular and comprehensive security solutions available for WordPress sites. With over two million active installs, this one definitely has quite a large share of happy users. On the first line of defense, it offers a Web Application Firewall that recognizes and blocks threats. It has an integrated malware scanner that will also prevent any requests that can potentially compromise your site security. In addition, it prevents brute force attacks by limiting login attempts. Wordfence is a comprehensive WordPress security solution that acts as a firewall, security scanner, and live traffic monitoring tool. The plugin also checks the core files, plugins and themes for any malicious code, harmful code or malware. It will also overwrite any undesirable changes made to important files. Wordfence monitors your site settings for any security vulnerabilities and alerts you with prompt notifications. It also monitors traffic to your site, which identifies hacking attempts instantly and alerts you with information like the attacker’s IP address. Sucuri Security is another popular option that will help you harden your WordPress website. It offers different security options like malware scanning, checking the integrity of your files, and auditing of your security activity. In addition, it offers blacklist monitoring and helps you recover in case a hack happens on your site. 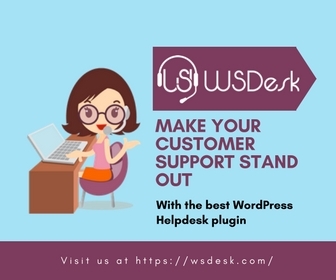 With over 400,000 active installs, this plugin is not really far behind in popularity among WordPress users. Sucuri Security is a great solution that will complement your WordPress security efforts with features like malware scanning, security auditing and file integrity monitoring, etc. This plugin evaluates your WordPress security efforts and let you know about the additional measures that you can take to harden your WordPress site. It will warn your if you have configured your site with apparent security vulnerabilities such as using ‘admin’ as username. It will also help to block brute force attacks effectively. You can also enable manual approval for registration by new users. All in One WP Security and Firewall will also ensure your file system and database security is ensured. With over 600,000 active installs and close to 700 5-star ratings, this plugin is a reliable choice for your WordPress security. 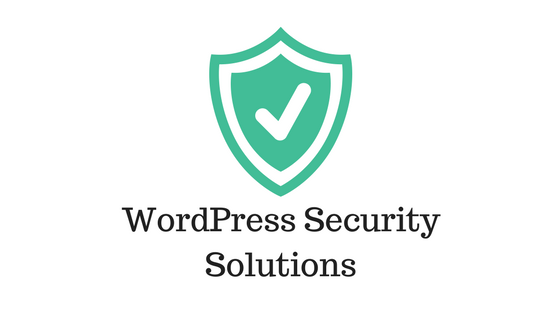 This is another comprehensive WordPress security option that you can install without doubts. iThemes Security is another trustworthy solution that you can try for your WordPress site. It offers options like Brute Force Protection, File Change Detection, enforcing strong password. It also helps with database backups, email notifications and even two factor authentication. iThemes Security offers great protection to your WordPress site by focusing on multiple security aspects. This is another great security solution that offers plenty of features to protect your WordPress site. The major features include malware scanning, login monitoring, database backup, db table prefix changer, etc. It also offers auto restore and quarantine option in case there is a security breach on your site. Bulletproof Security Proof also offers continuous monitoring of your site activity and alerts you with prompt notifications every time it identifies a potential threat. You can purchase this fully automated security plugin for $69.95. 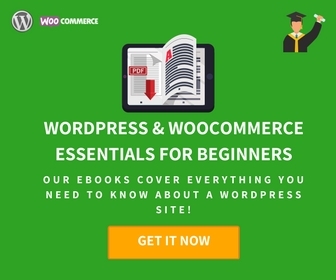 Security is an essential aspect that every WordPress store owner needs to pay special attention to. Though WordPress by default is quite a secure platform, the intent is to reduce threats that are consistently looming in the internet space. WordPress security is effectively spread among many different solutions such as backup plugins, password manager, access control by multi factor authentication, activity monitoring tools, web application firewalls, etc. It is important for you to recognize the specific threats your site may face and choose appropriate solutions. This article has listed out some of the best WordPress security solutions that you can get hold of at the moment. Leave a comment if you wish to share a specific insight.